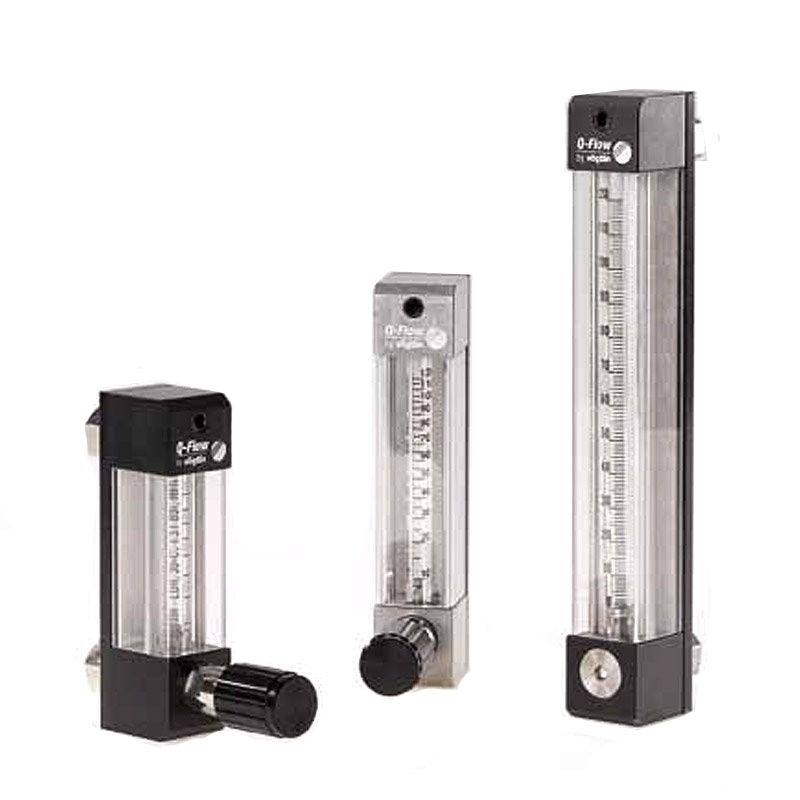 The Rotameter Q flow is a modern range of variable area flow meters from Voegtlin Instruments for gases or liquids, particularly at low flow rates. The Q flow range includes a choice of tube lengths, materials and connections for versatile application. For limit switch options see low flow rotameter V-100. Versatile Variable Area Flow Meter for Liquids or Gases at Low Flow RatesQ flow is a modern range of variable area rotameter flow meters from Voegtlin Instruments for gases or liquids, particularly at low flow rates. The Q flow range includes a choice of tube lengths, materials and connections for versatile application.